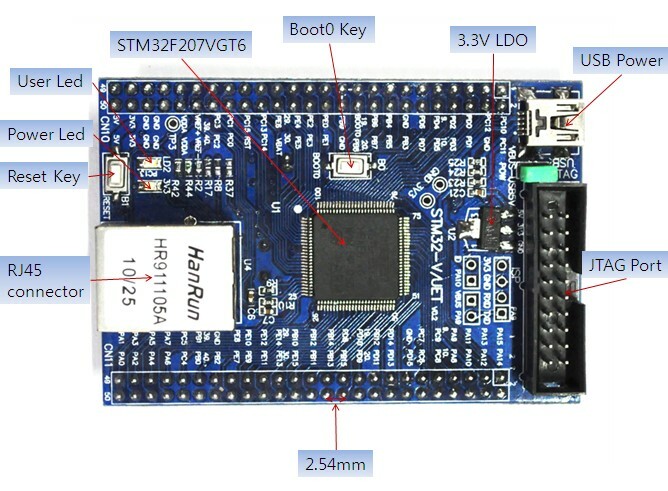 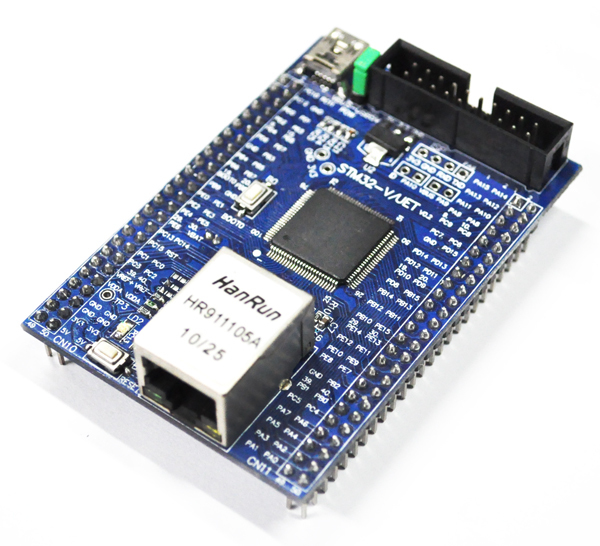 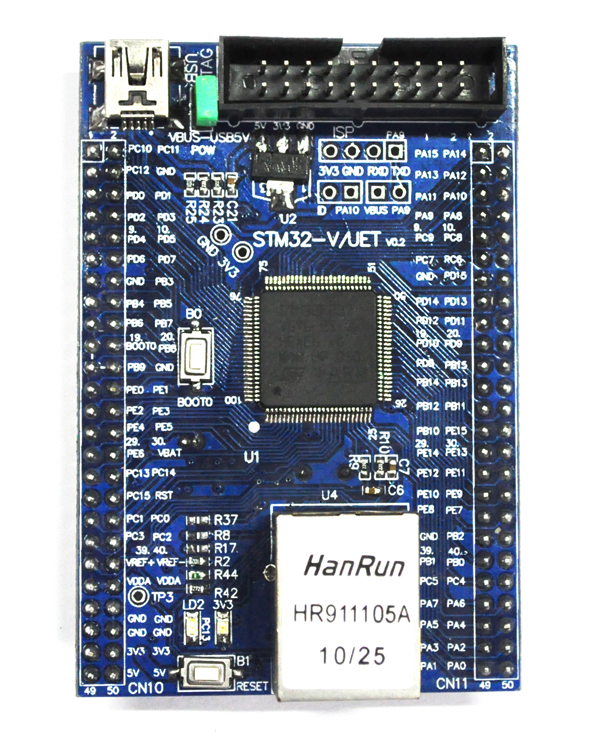 The STM32-ETH-27V/UETboard is based on the ST chip STM32F207VGT6. 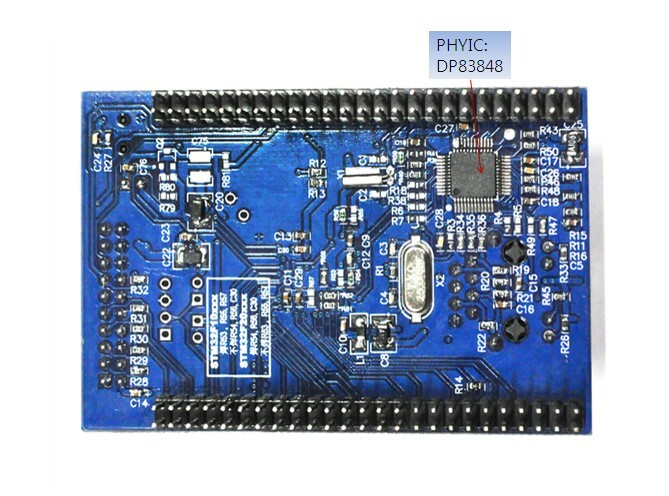 All the GPIOS are lead out by 2.54mm pitch. 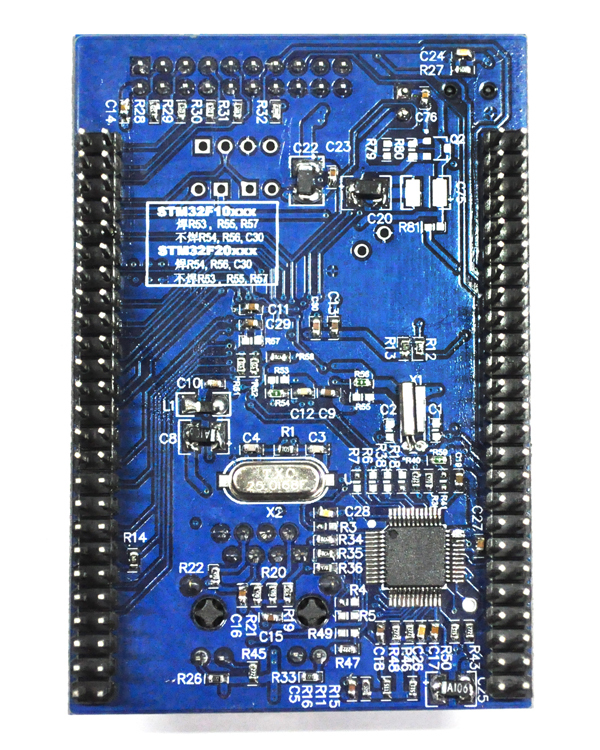 The ethernet interface and testing program is provided.